Sing it, Kurt! And fly it! 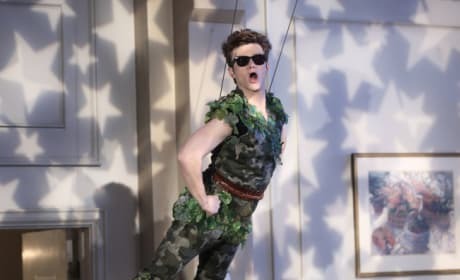 The Glee character portrays Peter Pan in this cute photo. 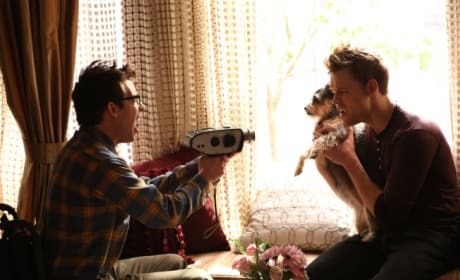 Artie films Sam and his new dog in this scene from Glee. Isn't he adorable? And so is the dog. 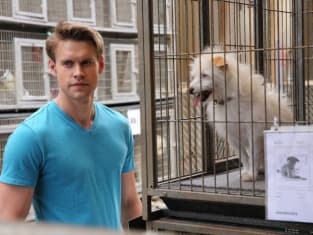 Rachel plans a charity event for rescue animals on Glee. 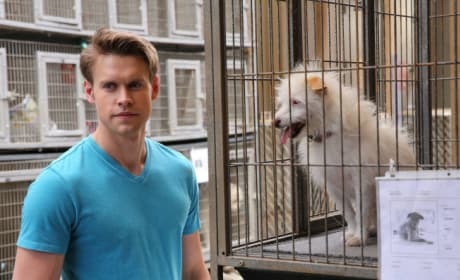 "Old Dog New Tricks" is the 19th episode of the show's fifth season.